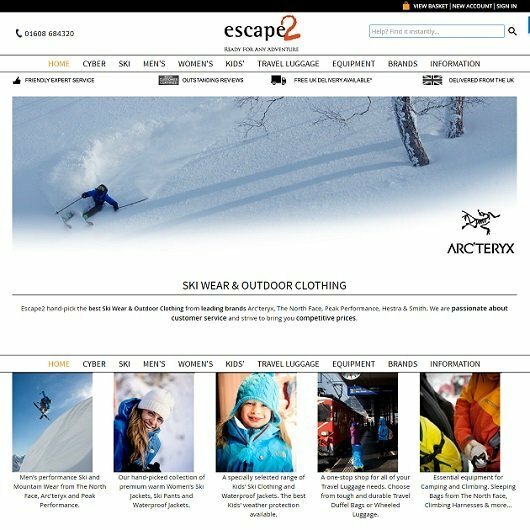 Escape 2 are an online store selling high quality ski gear and outdoor clothing. We manage their Google Adwords campaigns and Social Networking. 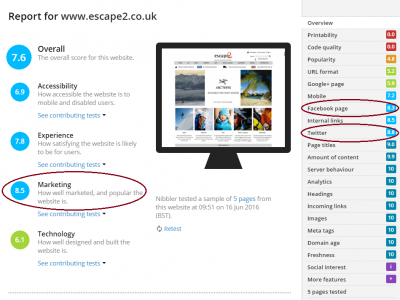 We also advise on some SEO for the website. The majority of the Adwords budget goes towards Shopping campaigns which are extremely complex due to high competition and exclusion of broad searches for high value products. Current Social Networking is mostly aimed at gaining an organic (free) following, so it’s a slow build, but we’re happy to see the increase in followers and activity. We hope to push this more in the future. The team at Escape 2 are passionate about their products and work hard to continually further their business. They are our favourite type of client as they understand the need to keep pushing. Over the 2016 ski season, we managed to half Escape 2’s Adwords costs compared to 2015, yet still increased sales. CCR (click conversion rate) was over 2% and cost per conversion was less than 8% of product value. Sales have continued to grow in 2017 & 2018 - we are delighted with this and are working hard to ensure it continues.